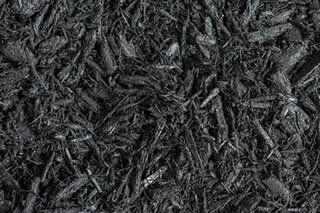 Mulch is a great landscaping product if you like a nice, clean, uniform look within your garden beds. It’s also a maintenance task that helps keep your garden beds healthy throughout the year too. 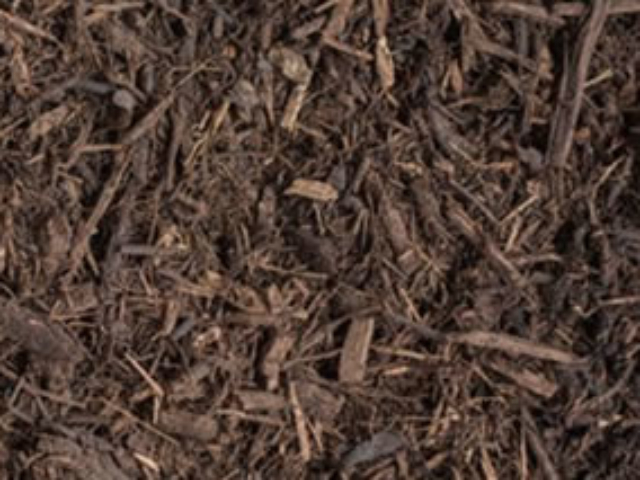 Mulch provides several benefits for your garden such as a nice uniform appearance and improved curb appeal, it can reduce the amount of weed growth, it can help retain moisture when it’s really dry, and it also helps protect and insulate your plants root systems during cold weather. Green Acres Lawn & Landscape is a licensed and insured landscaping contractor serving the Kansas City Metro area. 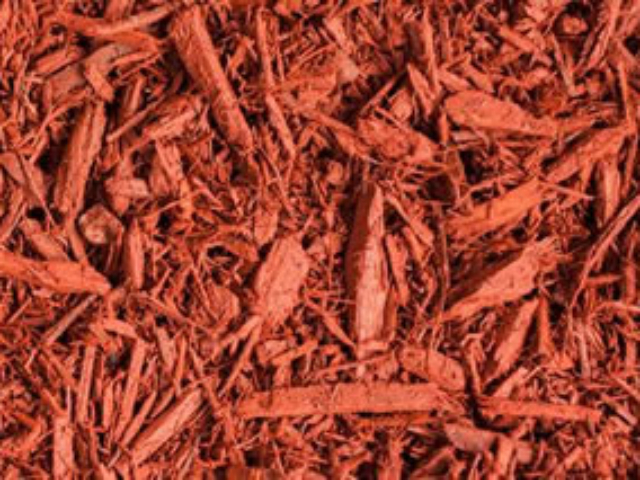 We specialize in the delivery and spreading of several different types of bark mulch for garden beds and landscaped areas of all sizes. We can deliver and spread mulch throughout your garden beds, flower beds and landscape features for both residential and commercial clients. The edges of your garden beds become less sharp over time and mulch looks the best when it’s installed in garden beds with a very established edge. 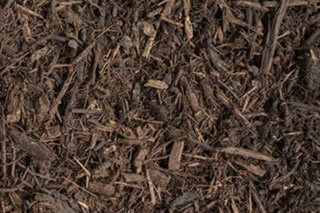 We recommend re-edging your garden beds prior to mulch installation to maximize your curb appeal. 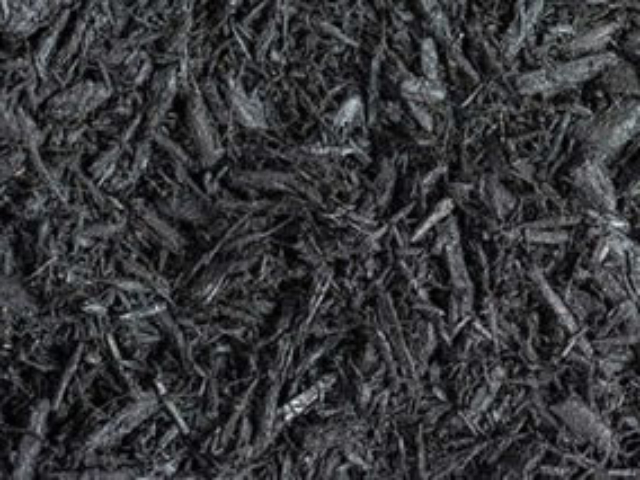 We can offer garden bed edging as part of our mulch installation if you’d like us too. Minimum Mulch Delivery/Spreading = 4 Yards. Mulch is sold and delivered by the yard. 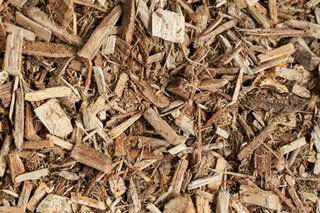 1 yard of mulch spread about an 1″ thick should cover approximately 324 square feet. 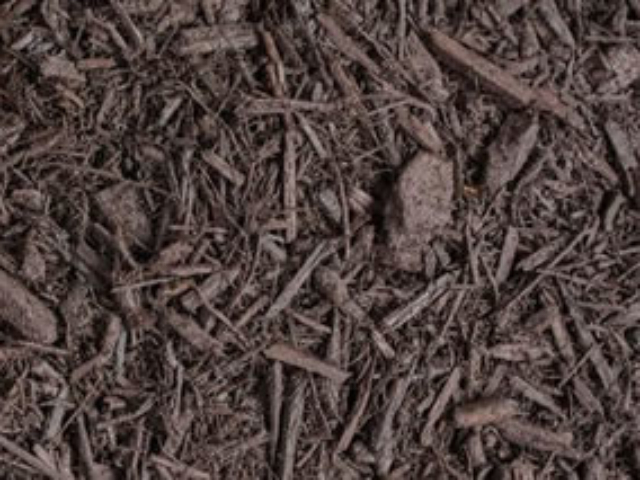 We can arrive to your location with up to 12 yards of mulch in one of our dumping trailers and orders larger than that will need to be delivered via a dump truck or in multiple trips. 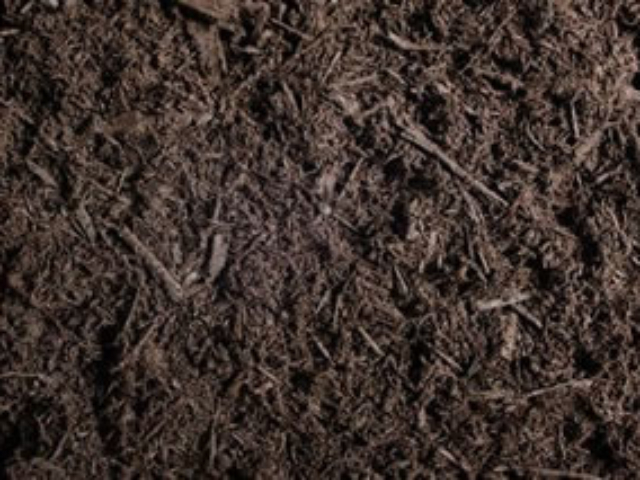 Our mulching estimates include delivery costs, spreading (approximately 1 hr per yard), edging of your garden beds, and a clean up of the delivery area. 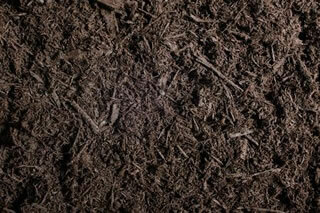 Prior to mulching old garden beds they should be weeded and cleared out of any brush or debris. Landscape cloth can be laid down if necessary. Shrubs and surrounding tree cover should be trimmed back to prevent the organic debris from falling in your garden and it will keep the mulch looking nice for a longer period of time. 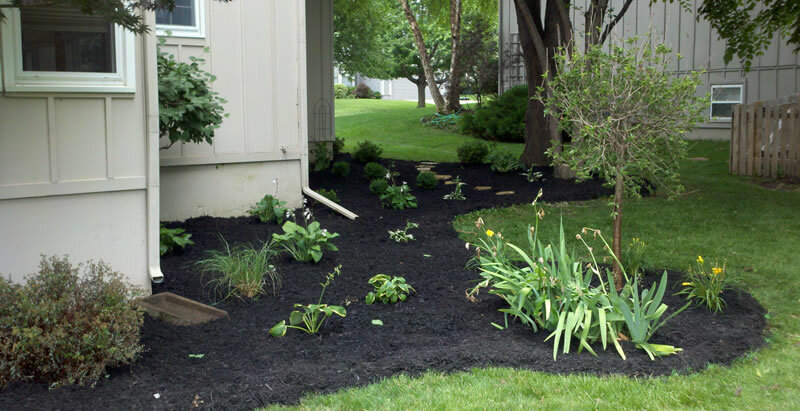 We are happy to add bed preparation and garden bed clean up into your estimate. 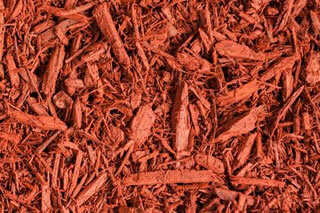 We do not offer “delivery only” services for bark mulch. 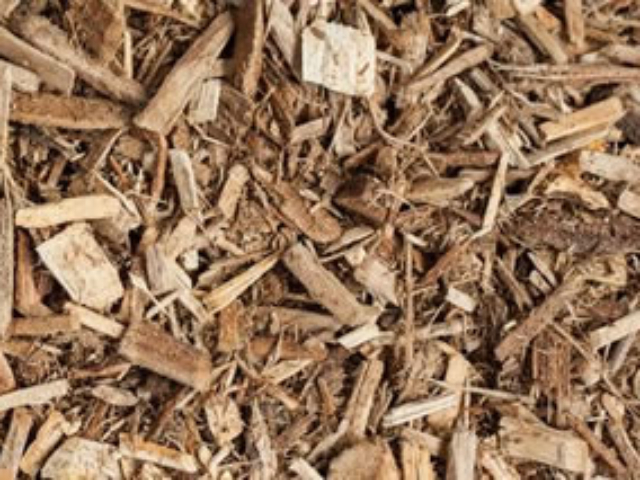 If you require mulch delivered for you to install on your own we suggest contacting your nearest landscape supply company to arrange delivery. Just choose the shape of your lawn, garden or area you want mulch installed, enter the appropriate dimensions and voila! Our calculator will tell you how many yards to order. It’s always a good idea to round up so you know you’ll have enough material. It’s better to have a little too much, then not enough! How Wide Is The Diamter (A)? 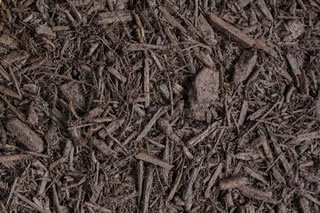 If you’d like to schedule an estimate to deliver and install mulch in your garden beds we’d be happy to meet with you. Please call (913) 422-5111 or fill out our online form and we’ll get right back to you.